From every angle this Four Door Media Credenza is a winner! From the linear body that hovers above the squared metal legs, to the raised geometric fretwork that fronts the mirrored door panels, a shapely style that is subtle and elegant. 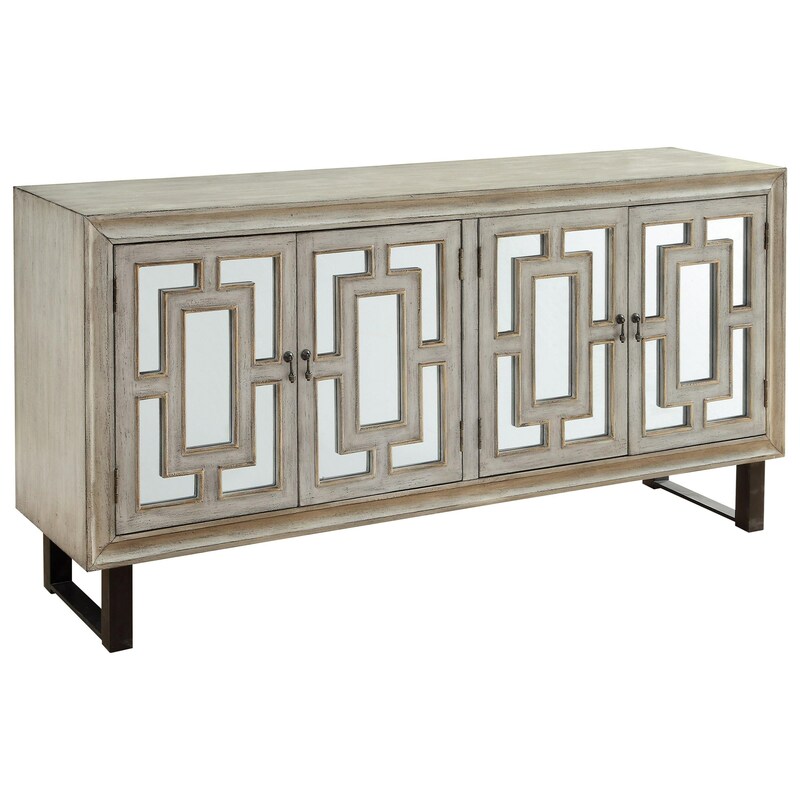 Finished is Graner Textured Cream with an abundance of storage space inside plus inner cord access, this Credenza has just the look you have been searching for to complete your Family Room, Den or Dining area.